Then, the Maker was released and the hypothetical mic was dropped and all of the crafter’s ears were ringing. 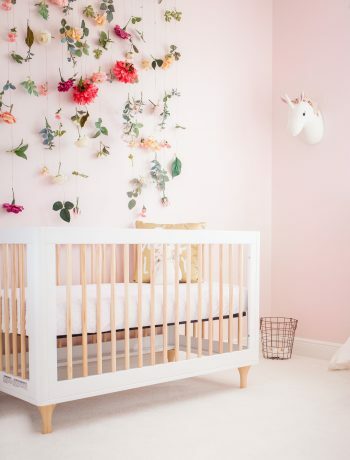 Using the Cricut Maker has opened so many possibilities not only in the vast materials that can be used, but more importantly, the creative’s mind! Watching the machine be revealed immediately started a running list of what I wanted to create. We were promised capabilities that would blow the design world’s boundaries into extinction. Everything we were told came true.The Machine itself has been improved upon- from its visual sleek design all the way down to the bigger storage areas and everything in-between. The first design difference I saw on the outside of the machine was that the dial had been removed. Everything is now inside the design space which is wonderful for someone who forgets to switch blades/cutting material on a regular basis. The new design space is now my personal assistant with double checking my design needs and not letting you proceed with the incorrect blade or material. Storage has been more thought out with a deeper and larger storage drawer as well as the cup holder on the side. The holder has one deep pocket for your tools as well as a shallow cup for your blades and both are brilliantly lined with silicone to protect the longevity of all your Cricut tools. 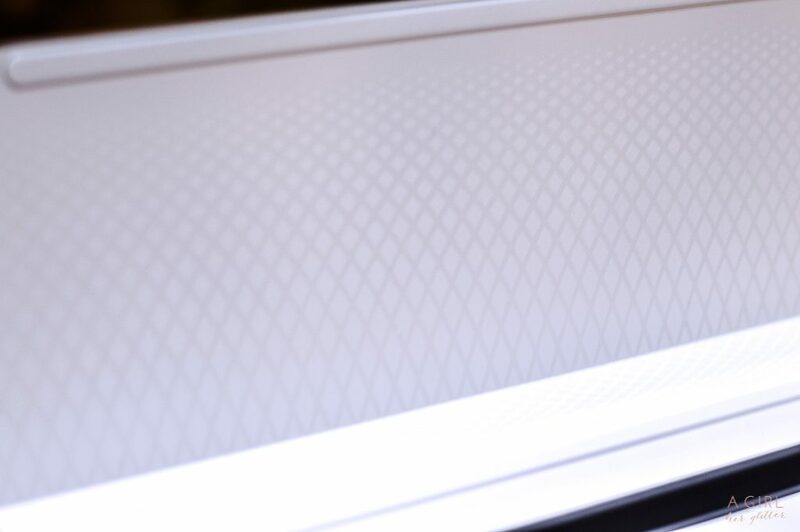 They even detailed the underbelly of the top of the lid (and inside the storage bin) with matte and gloss diamond pattern. Let’s talk about blades. Are you serious? A rotary blade?! I am not one to even sew but no sew projects with fabrics is something I am proud to claim. I had to try it out immediately. I wanted to try the new rotary blade on material such as glitter foam and felt. I was amazed at how effortless the machine made the cuts. The new blade has a beautiful gold gear at the top of the component which allows a full 360 degree movement as well as vertically to get the exact precise cut. EVERY.SINGLE.TIME. The deep cut and fine cut blades are just as we all know and love them and I cannot wait for the knife blade to cut even more materials. 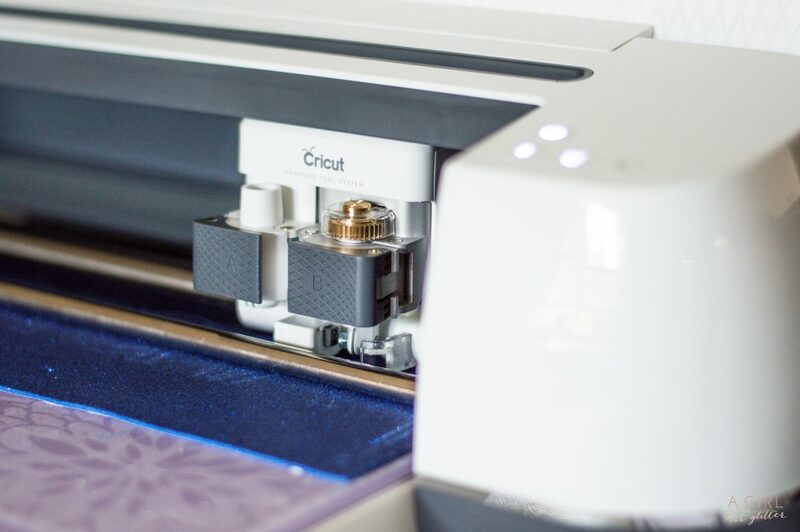 The rollers on the Cricut Maker has 4 little holders to ensure your material stays in place and are adjustable so that materials such as foams, felts and bother soft surfaces are not ruined. The blades and pen capabilities are just as easy to switch in and out as before with just a flip of the manual switch. A good friend of mine wanted to celebrate her “gotcha day.” If you are like me, you are thinking… what? My friend, Heather, adopted and adorable pup from the shelter and he was the smallest saddest pup she had ever seen and knew he was perfect for her. “Gotcha Day” is the celebration of the day you she brought him home. We wanted to do a little photo shoot with a banner and bandana. Knowing I had the Maker at home, I wanted to use the thick felt and glitter foam.We used the strong grip mat to hold the felt and glitter foam in place. The rotary blade is almost therapeutic to watch. It cut with such precision and ease. Who would have ever have thought that technology would play such a great role in the crafter’s world. Here we are, able to design from our tablets and now, designing from our phones! The Cricut Maker even has a specific place for tables/phones to be held while your project is in play. Whenever a genius thought enters your inventive mind you can design on the spot! You can even use your camera to place your design on anything such as a wall, bag or any surface that you gave pre designed on your phone. 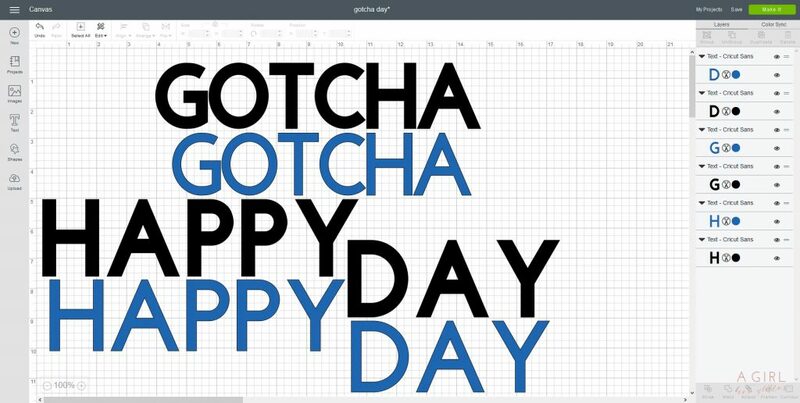 With capabilities being so infinite your projects are now going to be impeccable as well as cut down on your valuable creative time.Here is what and how I created the Gotcha Day lettering using the design space. I changed the font color of my thinner text and as a result- you’ll see in the second photo- when I go to cut it separates the words according to their font color. I used my thick white foam for the first cut out and then the blue glitter foam for the second. Cut the project time way down! 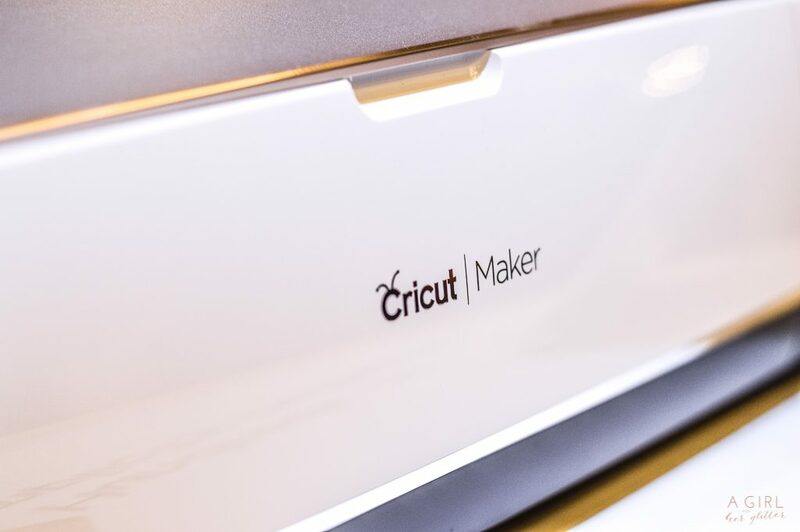 No matter what you are planning to create, the Cricut Maker allows you to dream bigger and see your vision come to life. Creating used to be claimed by those “artist” types and people labeled as creative. The labels are being removed, the gloves are off. To all of those who think that they can’t make anything… get ready to meet your Maker. The Cricut maker allows you to push your own boundaries and gives you the tools to be anything you want to be. From kiss cut window cling , to cutting over 200 types of fabric with the rotary blade then all of the way to deep cutting balsam wood, the Crucit Maker is the ultimate crafter’s tool. 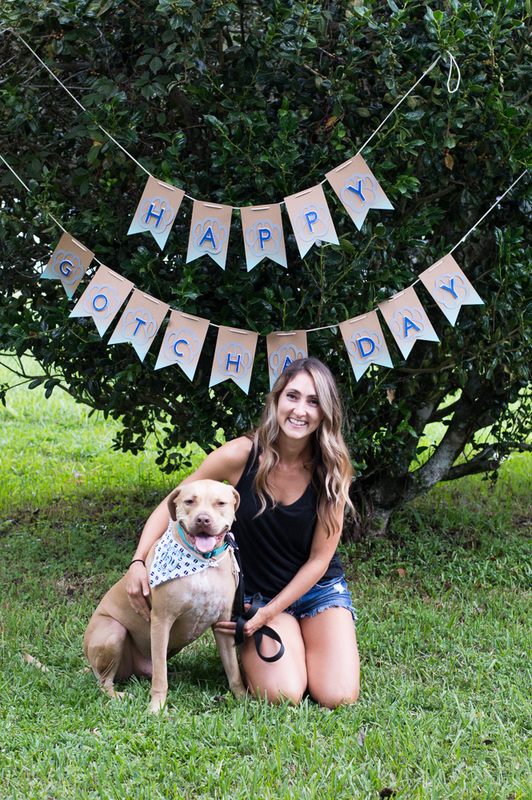 Happy “Gotcha Day” Rocky and Heather! 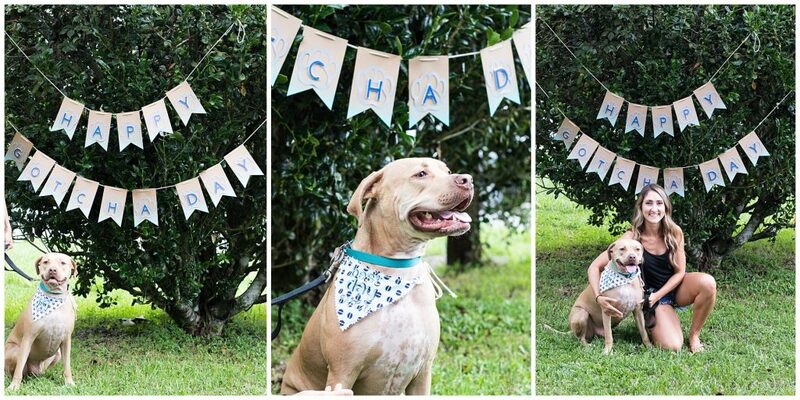 We will break down our How-To on this banner as well as this adorable no sew bandana (design from Natalie Wright) very soon so be sure to check back! In the end- the Cricut Explore/ Air/ Air 2 are still extremely relevant. Why upgrade? IF you are wanting to cut fabrics and use deep knife cuts- this machine is for you. The Maker opens up more doors than the previous models when the range of what you can cut. 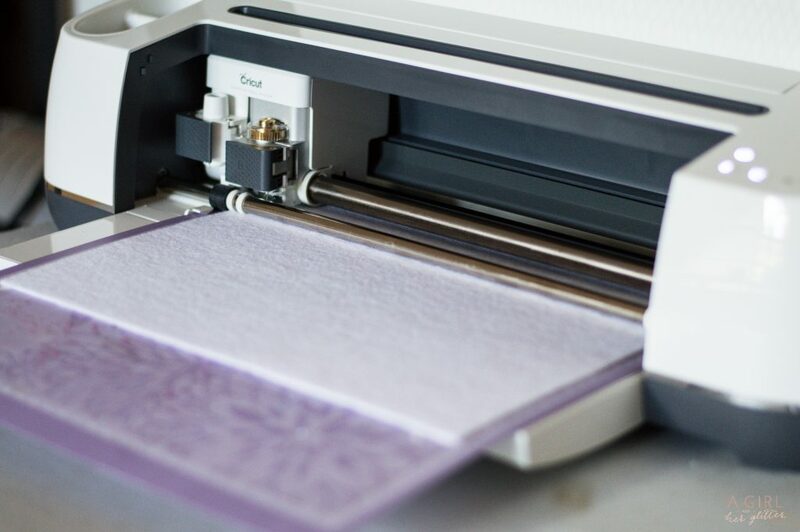 Should you not need to cut fabrics or thicker surfaces, your Cricut Explore/Air and Air 2 will just everything you need it to be!